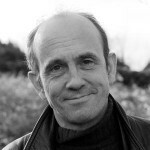 Benoît Lechat was one of the founders of the Green European Journal and was its Editor- in-Chief until January 2015, when he sadly passed away. The ecological challenge should no longer be addressed solely as an environmental issue. Rather, it should be considered a social one. A riveting French report makes the relationship between the environment and 21st century lifestyles amazingly concrete. Un discours de Beniot Lechat. The following text was the basis for a speech to be delivered at the Summer University of the French Green party Europe Ecologie – Les Verts in Bordeaux in August 2014. W ostatnich latach stale przybywa artykułów i książek poświęconych kryzysowi demokracji. Podobnie jeśli chodzi o publikacje na temat kryzysu ekologicznego. Nie towarzyszyła temu jednak dotąd świeża refleksja na temat wzajemnych powiązań między tymi dwoma kryzysami. Beginning in the fall of 2013, three manifestos published by German and French intellectuals revived the idea of establishing a “Political Community for the Euro” to give the single currency a true system of democratic governance. Jednym z głównym wniosków mijającej kadencji Parlamentu Europejskiego jest to, że skończyły się dni „łatwej polityki”. 2009-2014 : la législature européenne s’achève. Le temps est venu de faire le point et de regarder l’horizon, d’articuler des actions, des résultats et une vision sur le court et le long terme. Nasze pojmowanie wielkiej historii bierze się nie tylko z lektur, ale również rodzinnych historii. Rocznica wybuchu I wojny światowej daje nam okazję do refleksji na temat wojny, możliwości wybaczania oraz odpowiedzialności za teraźniejszość. Notre compréhension de la grande histoire se nourrit non seulement de nos lectures mais aussi de la transmission d’histoires familiales. La commémoration de 1914 invite à une réflexion sur la guerre, la possibilité du pardon et nos responsabilités par rapport au présent. The lessons of the last crisis always seem to be forgotten, and the financial world continues to grow and pose a risk to economy and planet. We Greens must marshal all our energy and ideas to reign it in. Greening industry is crucial to our ability to combat climate change and maintain a prosperous society. But to achieve this, we need a whole new relationship with the environment. Avons-nous besoin d’un républicanisme vert? Les écologistes sont-ils des républicains qui s’ignorent ? Et si oui, quelles conséquences cela pourrait-il avoir pour leur doctrine politique ? Do We Need a Green Republicanism? Are Greens republicans who ignore that they are republicans? And if so, what consequences may that have for their political doctrines? Why do the Greens need to reconsider the ideal of equality in the light of the ecologic and economic crises and what are the challenges linked with such a project? GEJ editor-in-chief Benoit Lechat introduces the 4th edition of the Green European Journal “Equality and Sustainability”. In October 2011, the Heinrich Boell foundation presented the results of a long collaborative project on the future of Europe. This project was an invitation to debate the project that we wish to see implemented for Europe in the 21st century. This reaction calls for a debate to be developed on two levels: firstly, to debate the causes and solutions to bring to the crisis and, secondly, the transitional dialogue to undertake in order to widen the social base of a renewed concept of European solidarity. Surviving austerity, preparing a new green project! In 2012, the urgency seems to have once again reduced the political possibilities for investment into a green conversion of the economy. Therefore, if the Greens want to reinforce their social base for an “ecological re-industrialisation”, they must re-evaluate their definition of what is socially just and share this vision with as many people as possible, starting with social movements, both new and old. This could be their best way for surviving austerity. Talouskurilla on monet kasvot vuonna 2012. Niiden keskinäinen vuorovaikutus auttaa laatimaan uuden yhteiskuntamallin, joka reagoi 2000-luvun ympäristö-, talous- ja yhteiskuntakriiseihin. The re-emergence of the debate on growth must not push the Greens towards fundamentalism. The idea is not to jump into a ‘back to the roots’ movement but rather to review a series of questions that have been left unanswered, without falling into the trap of false dilemmas. In this prospect, is the question of how to reduce inequality in Europe; with or without economic growth, maybe one of the most important? The events that shook Europe in 2011 show signs that we have arrived at the end of a chapter in the history of European integration.